By John Jacob Niles. Arranged by Gary Lanier. Score, Set of Parts. 12 pages. Published by The Lanier Company (H0.161611-24266). 2016 Holiday Contest entry. 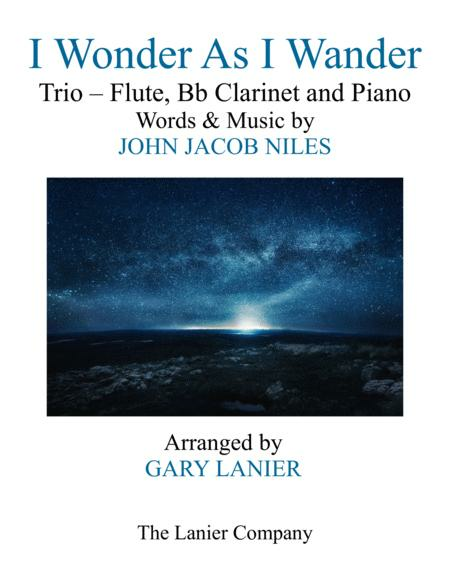 I WONDER AS I WANDER is an arrangement by Gary Lanier for Flute, Bb Clarinet and Piano of one of the most popular Christmas songs of the 20th century by John Jacob Niles. It works great for preludes, offertories, special music for a worship service, or for the joy of playing in any situation where the reason for the season is proclaimed (12 pages).